Effective waste management contributes decisively to the circular economy, a model that considers waste as resources. This is the main conclusion of the seminar “Avanzando hacia la economía circular. Gestión sostenible del residuo en la Comunidad Valenciana”, which was held yesterday at the Mercantile Ateneo de Valencia with an attendance of more than 60 people. The purpose of this meeting was to present, from a practical perspective, what this new economic model consists of and to analyze how an optimal management of waste is fundamental within the circular economy. 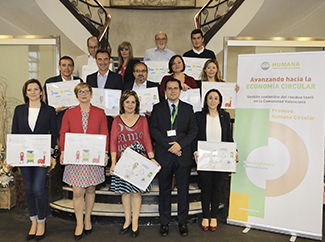 The meeting took place a few days after the Generalitat Valenciana announced a pact to promote the circular economy, with the participation of companies, municipalities and other entities. And it coincided with the decision of the European Parliament to raise from 44% to 55% the percentage of municipal waste that must be recycled after 2025. It is a measure that is part of a package of actions aimed at improving waste management with a view to the benefit of the environment and human health, mainly. In Spain, with an average of 443 kilos of waste per person per year, only 29.7% is recycled. In relation to used clothing, textile waste from households must be collected selectively before 2025. Promoted by Humana Fundación Pueblo para Pueblo, organization that since 1987 promotes the protection of the environment through the reuse of textiles, the day in Valencia has had three speakers. 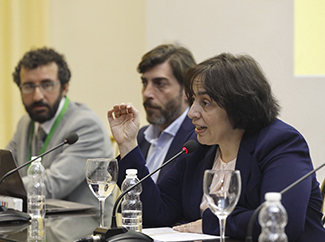 Anabel Rodríguez, Executive Director of the Foundation for the Circular Economy, has assured that "the circular economy supposes a new way of thinking and acting". "It is a cross-cutting issue that affects all economic and social agents," he added, "now the focus is not on waste management, but waste is a resource. In this sense, not only do we have to manage them well, but we must also take advantage of the value they have. It is wasteful to take waste to landfills; if we do this, we are throwing money in a scenario of scarcity of resources ". Pablo Ramiro, Director of Business Development of Recovertex-Hilaturas Ferre, has pointed out that textile waste "is too valuable a resource to be wasted". "Our raw material to obtain yarns, which will then be used to weave different garments, is the cotton we collect from textile waste," he added. 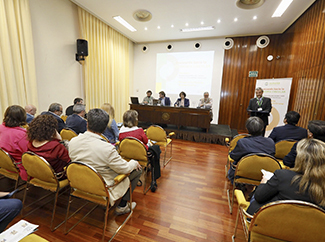 José Vicente Martí, Coordinator of Environmental Health of the Department of Universal Health and Public Health of the Generalitat Valenciana, said that "optimal waste management is beneficial to the health of citizens." Humana recovered 1,477 tons of used textiles in the Valencian Community in 2017. The donations represent an increase of 3.71% over the previous year (1,424 tons), which confirms the loyalty of the citizens towards a model of textile waste management with social purpose The garments come from the 650 green containers where citizens deposit clothes, footwear, accessories and household textiles that they no longer use and to which Humana gives a second life.